Directed by Guillermo del Toro. 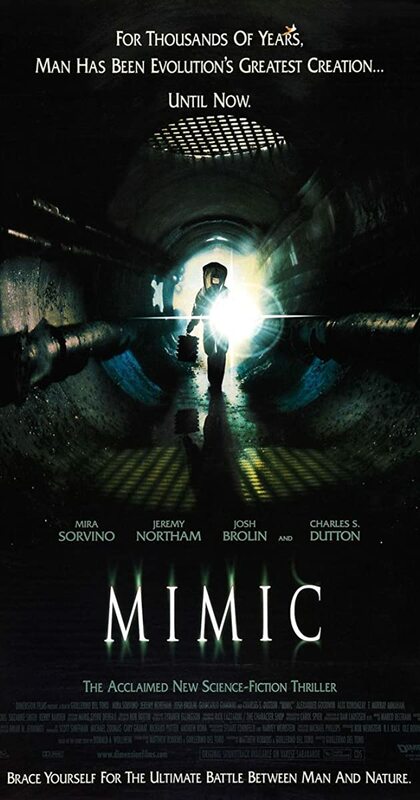 With Mira Sorvino, Jeremy Northam, Alexander Goodwin, Giancarlo Giannini. Three years ago, entomologist Dr. Susan Tyler genetically created an insect to kill cockroaches carrying a virulent disease. Now, the insects are out to destroy their only predator, mankind.